The following is the transcript of a sponsored podcast panel discussion on certification and its impact on the professionalization of IT and skills management, in conjunction with the The Open Group Conference, Austin 2011. Dana Gardner: Hi, this is Dana Gardner, Principal Analyst at Interarbor Solutions, and you’re listening to BriefingsDirect. Today, we present a sponsored podcast discussion in conjunction with The Open Group Conference in Austin, Texas, the week of July 18, 2011. We’ve assembled a panel to update us on the impact and role of certifications for IT professionals. We’ll examine how certification for enterprise architects, business architects, and such industry initiatives as ArchiMate® are proving instrumental as IT organizations seek to reinvent themselves. There are now a lot of shifts in skills and a lot of movement about how organizations should properly staff themselves. There have been cost pressures and certification issues for regulation and the adoption of new technologies. We’re going to look at how all these are impacting the role of certification out in the field. Here to help us better understand how an organization like The Open Group is alleviating the impact and importance of IT skills and role certification amid this churning change in the IT organizations is Steve Philp. He is the Marketing Director for Professional Certification at The Open Group. Welcome, Steve. Gardner: We are also here with Andrew Josey. He is Director of Standards at The Open Group. Welcome, Andrew. Andrew Josey: Thank you, Dana. Gardner: And we’re here with James de Raeve. He is Vice President of Certification at The Open Group. Hello, James. James de Raeve: Thanks, Dana. Gardner: Let’s start with you. As I said, we’re seeing a lot of change about many things in IT, but certainly how to properly staff, especially as you start to consider outsourcing options and Cloud and software-as-a-service (SaaS) types of options. Organizations are also looking at consolidation around their applications and infrastructure. So there’s quite a bit of change. Naturally, the people in the “people, processes, and technology” spectrum need to be addressed. From your perspective, why is there the need for more professionalization, or what are the trends that are driving the need to reexamine your staff and how to properly certify your IT leadership? de Raeve: The primary driver here that we’re hearing from members and customers is that they need to get more out of the investments that they’re making — their payroll for their IT staff. They need to get more productivity. And that has a number of consequences. They want to ensure that the people they are employing and that they’re staffing their teams with are effective. They want to be sure that they’re not bringing in external experts when they don’t need to. So there is a need to realize the talent that they’ve actually got in their internal IT community and to develop that talent, nurture it, and exploit it for the benefit of the organization. And professionalism, professionalization, and profession frameworks are all tools that can be used in identifying, measuring, and developing the talents and capabilities of your people. That seems to be the major driver. Gardner: Steve, any further thoughts on the trends that are driving certification and professionalization issues? Philp: Something I have noticed since joining The Open Group is that we’ve got some skills and experience-based certifications. They seem to be the things that people are particularly interested in, because it’s not just a test of your knowledge about a particular vendor or product, but how you have applied your skills and experience out there in the marketplace. They have proven to be very successful in helping people assess where they are and in working towards developing a career path. That’s one of the areas of certification that things are going to move more towards — more skills and experience-based certification programs in organizations. Gardner: Where are we seeing this most in demand? Are there particular types of technology certification or professional role certification that are in the most demand? Where is this the most hot or impactful right now? Philp: Looking at certification in general, you still have areas like Microsoft MCSE, Microsoft technical specialist, application development, and project management that are in demand, and things like CCNA from Cisco. But I’ve also noticed a lot more in the security field. CISSP and CCSA seem to be the ones that are always getting a lot of attention. In terms of security, the trends in mobile computing, cloud computing, means that security certification is a big growth area. We’re just about to put a security track into our Certified IT Specialist Program at The Open Group, so there will be a skills and experience-based track for security practitioners soon. Gardner: James, of course we should point out for our listeners that we’re not just talking about certification from vendors and suppliers about the specific products and/or platforms, but we’re really looking at a skill- and roles-based approach. Maybe you could help us distinguish between the two and why it’s important to do so? de Raeve: The difference, as Steve alluded to, is that there is a whole world out there of technology and product-related certifications that are fulfilling a very important function in helping people establish and demonstrate their knowledge of those particular products and technologies. But there is a need for people too in the building of teams and in the delivering of results to nurture and grow their people to be team players and team participants and to be able to work with them to function within the organization as, for want of a better term, “t-shaped people,” where there are a number of soft and people-related skills and potentially architecture related skills for the IT specialists, and skills and capabilities enable people to be rounded professionals within an organization. 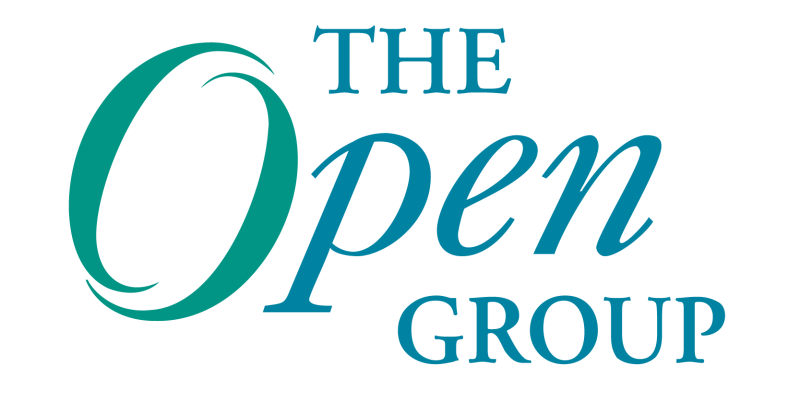 It’s that aspect that differentiates the professionalization and the profession-oriented certification programs that we’re operating here at The Open Group — The Open Certified Architect, The Open Certified IT Specialist. Those are t-shaped people and we think that makes a huge difference. It’s what’s going to enable organizations to be more effective by developing their people to have that more rounded t-shaped capability. Gardner: Andrew, with the emphasis on standards and your role there, how does the impact of certification on the ability to adhere to and exploit standards come together? What’s the relationship between making sure you have standardization around your people and their skill sets, but also being able to exploit standardization and even more automation across your organization? Josey: We see the certification as being the ultimate drive in the uptake of the standards, and so we’re able to go from not just having a standard on the shelf to actually seeing it being deployed in the field and used. We’ve actually got some people certification programs, such as TOGAF®, and we’ve got some over 20,000 practitioners now. We’ve gone through the certification program and we’ve been using and evangelizing, TOGAF as a standard in the field and then feeding that back to our members and, through the association, the feedback improvements to the standards. So it’s very much part of the end-to-end ecosystem — developing a standard for deploying it, and getting people on it, and then getting the feedback in the right way. Gardner: I suppose that as organizations want to create a level playing field, we’re starting to see calls for this type of certification in requests for proposal (RFPs) around projects. For folks on the buy side who are seeking either people or the suppliers themselves, a supply chain and ecosystem of providers, how much is certification playing a role and how they can pick and choose among each other with some sense of trust and reliability? Philp: It’s very much an important part of the process now. TOGAF and IT Architect Certification (ITAC) have appeared in a number of RFPs for government and for major manufacturing organizations. So it’s important that the suppliers and the buyers recognize these programs. Similarly with recruitment, you find that things like TOGAF will appear in most recruitment ads for architects. Certainly, people want knowledge of it, but more and more you’ll see TOGAF certification is required as well. ITAC, which is now Open CA, has also appeared in a number of recruitment ads for members like Logica, Capgemini, Shell. More recently, organizations like the CBS, EADS, ADGA Group, Direct Energy have requested it. And the list goes on. It’s a measure of how important the awareness is for these certifications and that’s something we will continue to drive at The Open Group. Gardner: All right, Steve, thanks for that. As you mentioned, there have been some changes in terms of the branding around some of these. Let’s take a quick review if we could around what’s being happening at the Austin Conference, but also what’s new and what’s been going on with the branding. Let’s look at the TOGAF, ArchiMate®, and business architecture certifications. What’s new and interesting there? Josey: I am speaking up on what we are doing in ArchiMate first, before I talk about TOGAF, and then Steve will tell us what the Business Forum is up to. ArchiMate certification is something new that we’re developing right now. We haven’t deployed a certification program as yet. The previous certification program was under the ArchiMate Foundation, which was the body that developed ArchiMate, before it transferred into The Open Group. We’re currently working on the new program which will be similar to some aspects of our TOGAF program, and it’ll be knowledge base certification with an assessment by exam and a practical assessment in which the candidate can actually do modeling. So this will be people certification and there will also be accredited training course certification. And then also what we’re going to do there is actually to provide certification for tools. There will be certifications there. That’s pretty much what we’re doing in ArchiMate, so we don’t have a firm timeline. So it will not be available it looks like, probably towards the end of the year would be the earliest, but possibly early next year. Gardner: Knowing that we reach a wide audience, could you give a quick overview of what ArchiMate is for those who might not be familiar. Josey: ArchiMate is a modeling language for enterprise architecture (EA) in general and specifically it’s a good fit for TOGAF. It’s a way of communicating and developing models for TOGAF EA. Originally it was developed by the Telematica Instituut and funded, I think, by the EU and a number of commercial companies in the Netherlands. It was actually brought into The Open Group in 2008 by the ArchiMate Foundation and is now managed by the ArchiMate Forum within The Open Group. Gardner: Now we’re going to hear an update on TOGAF. Josey: The latest version of TOGAF is TOGAF 9 for certification. As we mentioned earlier, there are two types of certification programs, skills and knowledge based. TOGAF falls into the knowledge based camp. We have two levels. TOGAF 9 Foundation, which is our level one, is for individuals to assess that they know the terminology and basic concepts of EA in TOGAF. Level two, which is a superset of level one, in addition assesses analysis and comprehension. The idea is that some people who are interested in just getting familiar with TOGAF and those people who work around enterprise architects can go into TOGAF Foundation. And these enterprise architects themselves should initially start with the TOGAF Certified, the level two, and then perhaps move on later to Open CA. That will be helpful. For TOGAF 9 Certification, we introduced that by midyear 2009. We launched TOGAF 9 in February, and it took a couple of months to just roll out all these certifications through all the exam channels. Since then, we’ve gone through 8,000 certifications (see June blog post). We’ve seen that two-thirds of those were at the higher level, level two, for EA practitioners and one-third of those are currently at the foundation level. Gardner: And lastly, business architecture? Philp: Business architecture is a new area that we’ve been working on. Let me just to go back to what we did on the branding, because it ties in with that. We launched The Open Group’s new website recently and we used that as the opportunity to re-brand ITAC as The Open Group Certified Architect (Open CA) program. The IT Specialist Certification (ITSC) has now become The Open Group Certified IT Specialist or Open CITS Program. We did the rebranding at that time, because we wanted to be it associated with the word “open.” We wanted to give the skills and experience-based certification a closer linkage to The Open Group. That’s why we changed from ITAC to Open CA. But, we’ve not changed the actual program itself. Candidates still have to create a certification package and be interviewed by three board members, and there are still three levels of certification: Certified, Master, and Distinguished. However, what we’re intending to do is have some core requirements that architects need to meet, and then add some specific specializations for different types of architects. The one that we’ve been working on the most recently is the Business Architecture Certification. This came about from an initiative about 18 months ago. We formed something called the Business Forum with a number of Platinum Members who got involved with it –companies like IBM, HP, SAP, Oracle and Capgemini. We’ve been defining the conformance requirements for the business architecture certification. It’s going through the development process and hopefully will be launched sometime later this year or early next year. Gardner: I’m interested in how this is making a difference in the field. There’s a lot of change going on this consolidation. There’s re-factoring of what’s core and what’s context in what IT department should focus on and, therefore, what their skill sets need to be. They’re adopting new technologies. I wonder if you have any examples of where we’ve seen certification come to play when an organization is looking to change its workforce. Any thoughts about some organizations and what the impact has been? de Raeve: There’s a very good example of an organization that had exactly that problem, and they’ve done a presentation about this in one of our conferences. It’s Philips, and they used to have an IT workforce that was divided among the business units. The different businesses had their own IT function. They changed that and went to a single IT function across the organization, providing services to the businesses. In doing so, they needed to rationalize things like grades, titles, job descriptions, and they were looking around for a framework within which they could do this and they evaluated a number of them. They were working with a partner who wass helping them do this. The partner was an Open Group member and suggested they look at The Open Group’s IT Specialist Certification, the CITS Certification Program, as it provides a set of definitions for the capabilities and skills required for IT professionals. They picked it up and used it, because it covered the areas they were interested in. This was sufficient and complete enough to be useful to them, and it was vendor-neutral, and an industry best practice. So they could pick this up and use it with confidence. And that has been very successful. They initially benchmarked their entire 900 strong IT workforce against The Open Group definition, so they could get to calibrate themselves, where their people were on their journey through development as professionals. It was very positive feedback, and the net result is that they are well on their way to meeting their goal of no longer having automatically to bring in an external service provider whenever they were dealing with a new project or a new topic. They know that they’ve got people with sufficient expertise in-house on their own payroll now. They’ve been able to recognize that capability, and the use of it has had a very positive effect. So it’s a very strong good story. I think that the slides will be available to our members in the conference’s proceedings from the London Conference in April. That will be worth something to look at. Gardner: Where would you go for more information, if you were a practitioner, a budding enterprise architect and you wanted to certify yourself and/or if you were in an organization trying to determine more precisely what certification would mean to you as you’re trying to reengineer, modernize and right-size your organization? Where do you go for more information? Philp: If you go to The Open Group website, http://www.opengroup.org/certifications, all of the people-based certifications are there, along with the benefits for individuals, benefits for organizations and various links to the appropriate literature. There’s also a lot of other useful things, like self-assessment tests, previous webinars, sample packages, etc. That will give you more of an idea of what’s required for certification along with the conformance requirements and other program documentation. There’s a lot of useful information on the website. Gardner: Very good. We’ve been discussing how the role and impact of IT Certification is growing and some of the reasons for that. We’ve also looked at how organizations like The Open Group are elevating the role of certification and providing means to attain it and measure it the standard. I’d like to thank our guests for delivering this sponsored podcast discussion in conjunction with The Open Group Conference in Austin, Texas, the week of July 18, 2011 We’ve been joined by our panel, Steve Philp, he is the Marketing Director for Professional Certification at the Open Group. Thank you, Steve. Gardner: And we are also have been joined by by Andrew Josey, Director of Standards at The Open Group. Thank you, Andrew. 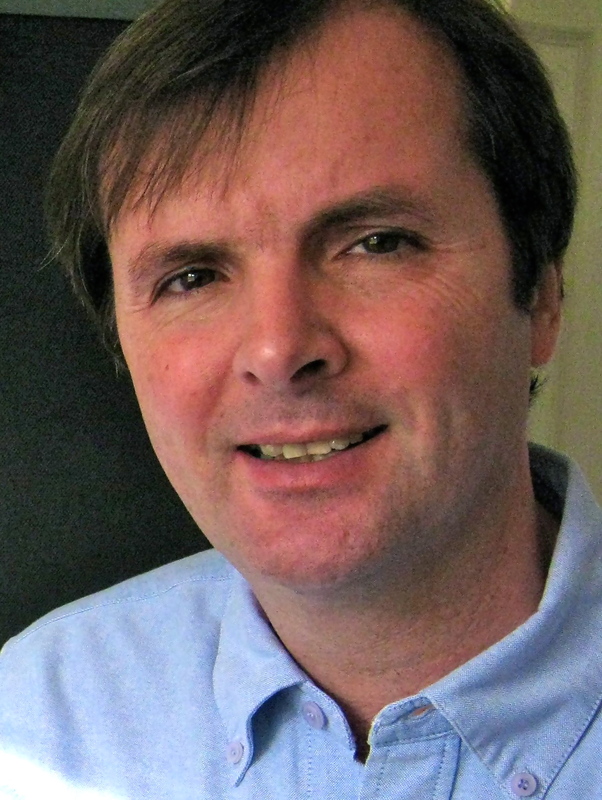 Gardner: And lastly, James de Raeve, he is the Vice President of Certification, once again at The Open Group. Thanks James. de Raeve: Thank you, Dana, and thanks to everyone who has listened. Gardner: Right. This is Dana Gardner, Principal Analyst at Interarbor Solutions. Thanks for listening and come back next time. Listen to the podcast. Find it on iTunes/iPod and Podcast.com. Copyright The Open Group 2011. All rights reserved.